On July 5, 6 and 7, the internationally renowned event, the E-Health Summer School (L’Université d’été de la e-santé), brought together e-health professionals to present the biggest innovations in the sector. The highlight of these 3 days was the trophy ceremony, which rewarded the best of these innovations. The National Association of Medical Students in France (ANEMF) is organizing its summer conference in Créteil on July 1. The SimforHealth teams will present MedicActiV, the first digital simulation platform dedicated to healthcare training. 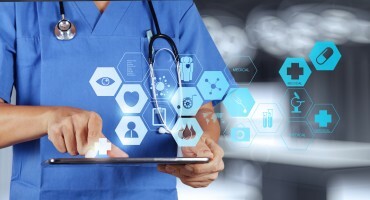 As a partner of Cap Digital and Futur en Seine, the SimforHealth team, the digital simulation department of Interaction Healthcare, is delighted to be taking part in the Futur en Seine festival from June 9 to 12 in the 3rd arrondissement of Paris to present changes in the field of healthcare training via its digital simulation platform, MedicActiV. The SimforHealth teams will be present at the 5th Francophone Symposium on Simulation in Healthcare, organized in partnership with the Francophone Society of Simulation in Healthcare (SOFRASIMS). This is the first expert society in France dedicated to the promotion of and research in simulation in healthcare and was created in 2014 with the backing of the HAS (French Health Authority). The MedicActiV platform and Patient Genesys project will be presented over these 3 days. 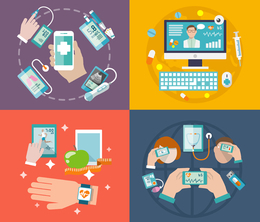 Our team of experts presents a web conference – on Tuesday March 22 2016 – called: “How can a new pedagogic dimension be given to healthcare professionals using digital simulation?” This web conference will be a chance to take stock of digital simulation in healthcare and the opportunities offered by the MedicActiV platform. The Patient Genesys project, selected to be part of the exhibition “Centers of excellence: 10 years serving innovation – Discover the objects of tomorrow today” from February 23 to March 4 2016, will be presented at the Ministry of the Economy, Industry and Digital Technology in Bercy. The Inter-professional Simulation Center (CIS) of Geneva, a joint center of the School of Medicine of the University of Geneva and the Geneva School of Health, inaugurates its first training day in French for health educators, on “Simulation and Inter-professionalism.” The MedicActiV platform will be presented at the event.